This pattern is a great way to learn the foundation paper piecing techniques. 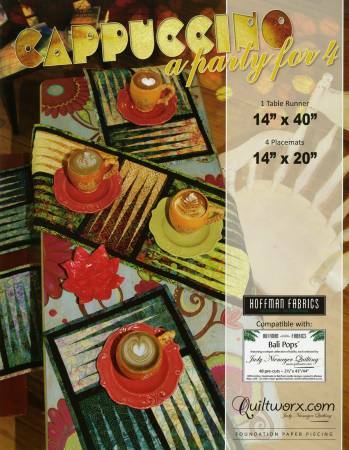 Pattern includes enough papers for one table runner and 4 placemats. Use your favorite Bali Pops/Jelly Roll, yardage or just raid your stash for 2 1/2″ strips!